Help Me Pick a Rug! 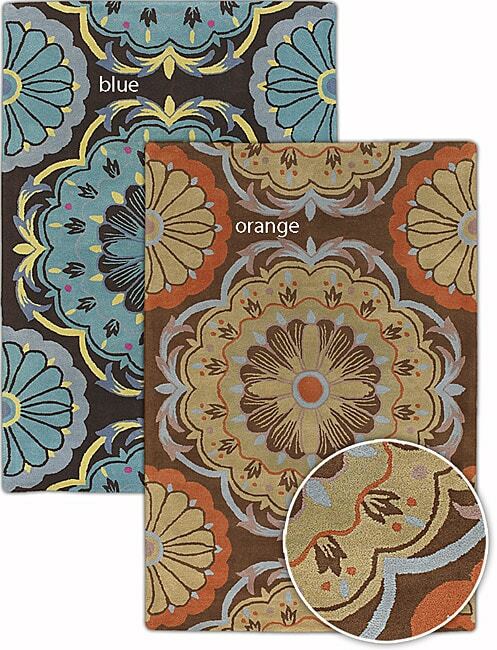 I can't get over how awesome the prices are on rugs at Overstock.com AND the fact they ship to APO boxes! Thus I've been going through their fast collection for the last four days trying to find a rug. But alas, here I am unable to make a home decor decision and pick an area rug for our living room. Can you help me? This is what we've got going on in there right now. Lots of rich, natural colors inspired by the lamp shades. While I'm not really into the whole Country style, this reminds me of vintage botany prints and I like that about it. But is it too "grandma?" This one seems like a good fit seeing as it has every possible color in it. But in picking this am I taking the easy way out? Is that even a bad thing? I LOVE this pattern! Not sure if the two color choices are quite right but I could always put it somewhere else, right?! 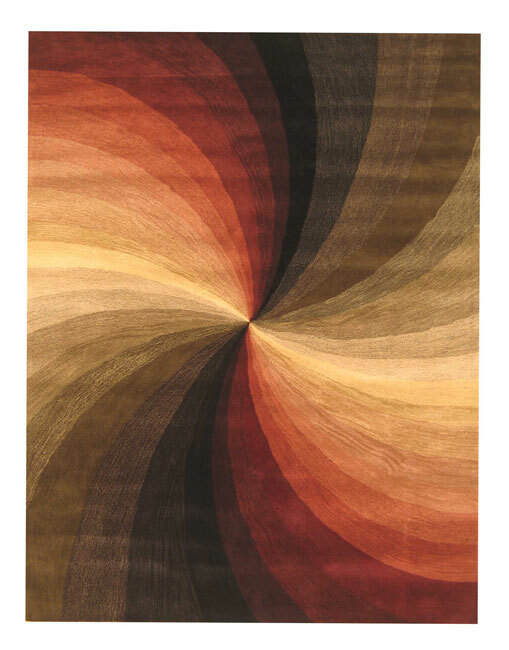 I love the modern feel of this rug. It reminds me of Pantone color books, very designer geek chic. The graphics on this one are so cute and nature-y but what about the minty green background? I do love a good animal print and since this one isn't starkly black and white black dog hair might not look too bad on it. What do you think? Can you find something better? Help me!